It’s been way too long since my last Etsy shop feature and I’m excited to get the ball rolling again! Whether you’re looking for a customized baby gift, a memorable birth announcement or an invitation that will surely get noticed, I’m certain you’ll want to check out The Village Press. Who’s Behind The Village Press? Frances Karulas is a web and graphic designer living and working out of Toronto. She caught the programming bug while taking an elective course en route to a biology degree at the University of Toronto. That single class led to switching majors from bio to computer science and so an IT geek was born! Since then she’s worked a variety of programming jobs- from gigs at two of Canada’s largest banks, to interesting freelance jobs with some of Toronto’s top musicians and authors. Along the way has also developed a keen interest in graphic design. While web programming jobs can often be more technical than creative, working on graphic design projects allows Frances to really cultivate her artistic side. This combination of technology and imagination has helped build a very challenging and rewarding business. In her free time (which I’m sure there is little of! 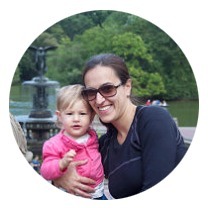 ), Frances also blogs about the adventures of her amazing two year old daughter Alexandra at 52newthings. Her web portfolio can be seen at Vaionet Media, while her graphic design work can be seen showcased in her Etsy shop The Village Press. Frances was inspired to open her shop following the birth of her daughter two years ago. She had been creating invitations and wall art for friends for years, but the process of doing this for her own new arrival motivated her to expand her body of work and share her designs with others. She called it ‘The Village Press’ as homage to the fact that most of her clients had been people she knew, and that together they all felt like a tight knit community. Frances’ favourite product in her store is the personalized memory game. This is a customized take on traditional children’s memory games, using photos of a child instead of pictures of animals and objects. Young children love seeing images of themselves, so using their own likeness is a great way to motivate them to play matching games and remember images they’ve already encountered. 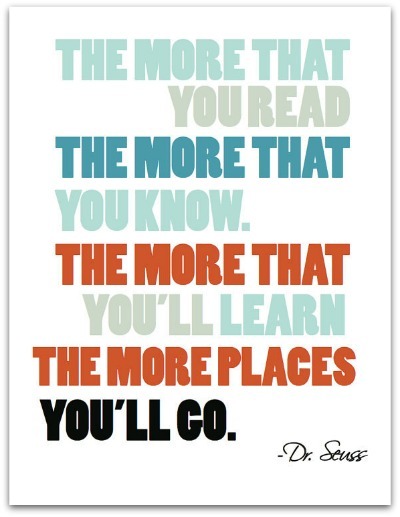 The shop’s most popular items are the Dr. Suess quote prints (check out the giveaway below!) 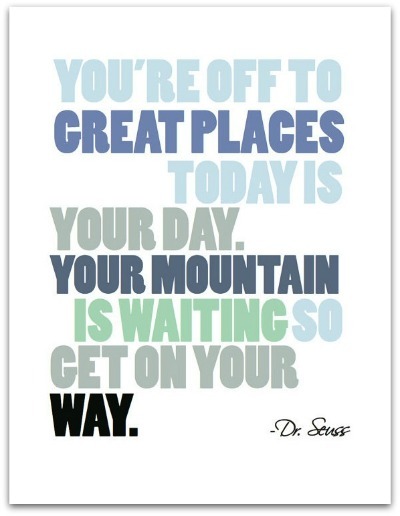 Simply styled motivational quotes from popular Dr. Suess books add an elegant touch of inspiration to any child’s room. Looking for a baby gift? Frances’ personalized alphabets are created to represent something unique in the baby’s life. They can even be laminated to be used as placemats. Fun upcoming pieces are personalized calendars which will be unveiled in time for the holiday season! In the upcoming year there will also be more of a focus on wedding products. 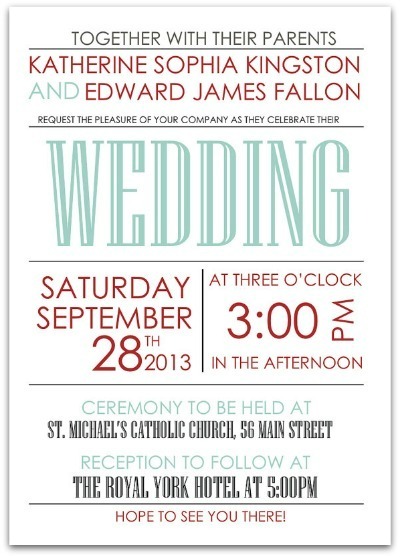 Currently there are only a few wedding-inspired pieces in the shop, like this retro invitation. Frances aims to change that for the 2014 wedding season. As 2013 comes to a close, Frances strives to continue to grow her business and one day she may even open a physical store. Her dream is to have a small design shop where clients looking for both web and graphic services could come and chat in person! She’s already decided what kind of fancy coffee maker she’d have on site ;) Sounds pretty great to me! What does Frances love most about starting The Village Press? As mentioned, the most popular product at The Village Press is the set or Dr. Seuss quote prints. Three of these are being offered as a package for Satori readers! They are printed on high quality linen stock and are 8.5×11 in size. The quote text itself displays beautifully in an 8×10 frame mat. Together the three prints have a combined value of $40 and make a wonderful addition to any child’s bedroom décor. Additionally, anyone wanting to shop at The Village Press for other items can use the code SATORI13 during checkout to get 15% off of their entire order. This includes custom design orders for your own personal print projects. Wait for the rafflecopter box to load below (if it takes too long, try another browser) and log in using the facebook tab or your email (spam safe). Follow the instructions. Good luck! Always love hearing about women following their dreams- so inspiring! My favorite is the letter art. We’re celebrating my daughter’s birthday soon and I’d love for Frances to design an invitation for us! I like the Dr. Seuss quotes, sooo cute! Hi Sheila! It’d be a pleasure to design something for your daughter’s birthday. Send me an email and we can chat! Thanks- Frances. The Dr. Seuss quotes are adorable! Can’t wait to celebrate Thanksgiving with my family! I adore Dr Seuss – what a wonderful set of books to be exposed to as children. And we didn’t even know how wonderful they were until we grew up!! I agree that we can learn so much from his writing as adults (and not just enjoy his rhyming skills!). Good luck! I’ll be celebrating my nephew’s birthday. Thank you for the kind words everyone- good luck in the giveaway! 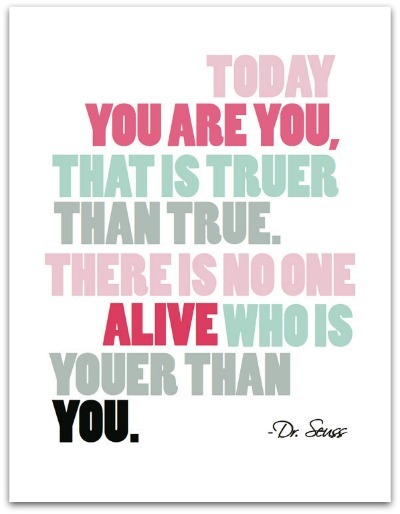 I love the “You are who you are, its truer than true” quote! Love Dr. Seuss – he makes sense for kids and for adults too! Love the helicopter print, great colors and design! Being a teacher, I just love the variety of the alphabet and number prints! The next celebration coming up is Thanksgiving. Can’t wait to ahve the family over! Actually, the Dr. Seuss package is my favorite … inspirational quotes for anyone! I like the dr suess package! I like the ABC prints. My daughters birthday is coming up this month. So we’re going to celebrate with that. I absolutely love the prints! The colour scheme is really awesome. But my ultimate favourite is definitely the personalised calendar. love the dr seuss sayings..we are big dr seuss fans here :) would love these for my sons wall !!! These are beautiful! I love Dr. Seuss! Son #4 (out of 5) turns 5 tomorrow. The next special occasion will be my Christmas. Personalized Children’s Alphabet Print- Wall art would have to be my fav.